One of the questions I’m most asked is how I manage to balance a full-time job with taking care of my young family. 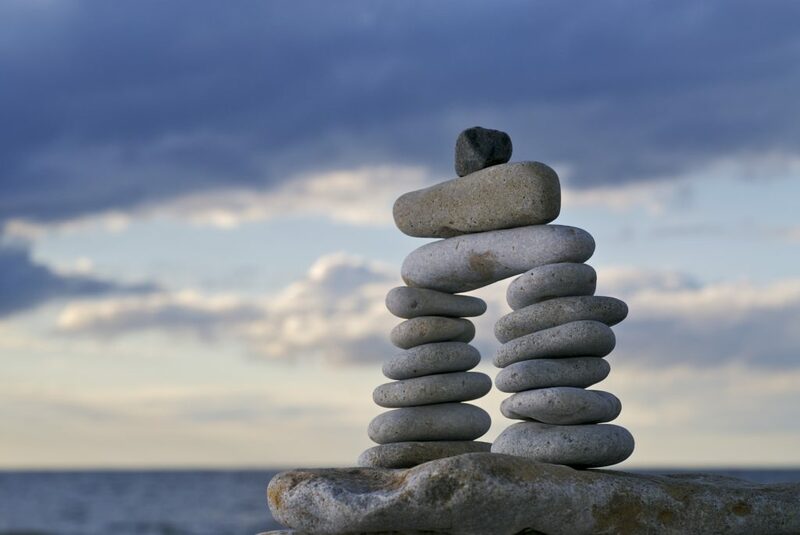 The irony of the word ‘balance’ is not lost on me, as for me it’s never been about balance. My work responsibilities don’t stop the moment I leave the office, and similarly my home life doesn’t switch off between the hours of nine and five. If you look at those individuals who are successfully combining a demanding role in the office with a demanding role at home, it’s unlikely that they’re seeking to ‘balance’ their home life against work. Success comes when we stop thinking about ‘balance’, and start thinking about ‘integration’. For me, this is absolutely fundamental. The right working pattern is one that works for you, your organisation and your personal circumstances. For some people, that might be a traditional nine to five, but for many more it will be about speaking with your employer to find a set of working hours and working location that is effective for all parties. My own working pattern has varied over the years as my children have got older. With them now both in school, I bookend my days working from home, allowing me to spend time in the office, be there to collect them from after school club, and then work during the evening when my day quietens down again. The above has only been possible thanks to exceptionally supportive employers, but it’s time that my experience became the exception, not the norm. If you find yourself struggling to juggle your home and work responsibilities, chances are your working pattern might need adjusting. Have a look at where the typical pain points are and speak with your employer about a proposed solution which will benefit both parties. And, if you’re an employer, ensure that you’re open to this… because you’ll likely be surprised at how much your employees’ productivity rockets as a result. I am a firm believer that we all have a responsibility to take ownership of our mental health, and this is never more true than when we are continually multi-tasking with barely a moment to draw breath. Learn to recognise the personal warning signs which show that you need to pause and take stock of the situation. I can now tell when the various elements I’m juggling at any one time move from becoming mere items to address and start becoming real concerns. When that happens, I take a moment to step back from everything and plan a route to solution. If I can’t do this alone then I ask for help: from my line manager; from a colleague; from a trusted friend or family member. Nine times out of ten, this clears the way enough for me to get myself back on track. Whilst pausing in the middle of a time of increased pressures might seem counterintuitive, I have learnt over the years that to fail to do so runs the risk of me grinding to a halt completely. Pause, take stock, and move on. My time is precious. With the demands of work and my family competing for my attention, every minute really does count. I’ve sought to address this by doing absolutely everything I can to maximise my personal productivity. Little things really do add up. I’ve learnt to touch type: consequently I type at 90-100 wpm, substantially impacting on how quickly I can get through email responses and write up reports or blog posts like this one. I cram everything I possibly can into the limited time I have in the office; if I feel like a meeting isn’t adding value or is taking me away from more pressing activities, I won’t be afraid to speak up. When you only have a finite amount of time to deliver, you have no alternative but to make every single moment count. Jobs and families are not generally predictable commodities. As I said at the start of this piece, it is frankly naïve to think that there won’t be times when one of these will start to place additional demands on you. The key is to set up an expectation of mutual flexibility. I fully expect to need to be contactable outside of the hours I work in the office, or occasionally required to drop everything on an evening or weekend in order to deliver. Equally, if my kids need me… I have made it abundantly clear to everyone that I will be there for them. Whether that’s being available to take a phone call from the school during the working day, flexing my hours to attend Parents’ Evening, or occasionally needing to bring them into the office… When you know that both your work and home environments enable you to be there for the other, effective integration of the two immediately becomes that much easier. Flexibility has to be a two way piece though. Deliver it for one, and you’ll find it much easier to then get the time you need to be there for the other. This might sound aspirational at best! – but taking time out which is solely for you is critical if you’re going to keep yourself in peak mental and physical health and thereby enable you to give of your best to all elements of your life. It doesn’t have to be extended periods of time – we can but dream! – but you would be surprised at how much just a few minutes out of your day can make a difference. Without fail, I carve out 10-15 minutes in the morning where I can work out. All the hype about the endorphins released by exercise is true, and that short period of time makes a huge difference to how I then approach my day. At the other end of the day, finding an effective way to wind down and thereby avoid a series of sleepless nights is equally as important. For me it is reading: as a voracious reader I can get through three or more books in a week in the hour or so I keep free to read just before I go to sleep. That time to myself gives me time to switch off, relax, and ensure that I’m then at my best when it comes to starting the day again. Ultimately, being able to effectively integrate your work and home lives relies both on having a supportive employer (such as Benefex!) but also on being able to maximise your use of time, and take responsibility for making the decisions you need to make to deliver both at work and at home. There will always be the days when one of the plates you’re spinning comes crashing down! – but provided there are more good days than bad, then you can be confident that you’re doing a great job of nailing that integration.